Did you watch it? Was it everything you’d hoped it would be? I think it was a brave step forward in the direction that will cultivate meaningful conversations. Yara Shahidi’s character, Zoey Johnson, encounters underaged drinking, advanced partying, personal conflicts regarding use of unprescribed narcotics, and of course, a really cute cool sophomore that she wants as her “Boo Thang.” Too much? Unrealistic? Setting a bad example? All I have to say to that is, “where is the lie?” I went to college in the 90’s and yep, this was/is the same type of stuff that goes on…only with a 2018 twist. If we remember back to when Cosby ruled Thursday night prime time TV, we were engrossed in the concept that a black lawyer and a black gynecologist could be happily married, with 5 children and living in a Brownstone in Brooklyn. And THEN, their boho chic daughter Denise would sidestep an Ivy League college experience, unlike her sister Saundra, (who dropped out of medical school to live in a flop house apartment with her black Ivy League educated husband, to have twins and open a camping store), to attend an HBCU, “Hillman” where Cliff and Claire met. This was riveting and quite progressive content back in the late 80’s early 90’s. Some even said that it was unrealistic and uncommon. Those of us who were familiar with this type of family dynamic and success were happy to share dialogue with those who did not even know that these types of life choices were possible. I think the writers for “Grownish” can scale back a little bit. Trying to introduce too much too soon can cause the show to fizzle out too quickly. 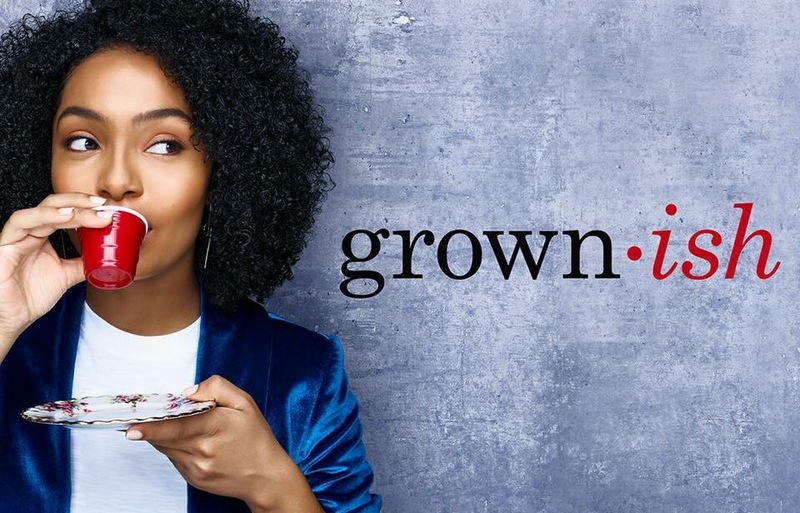 Let’s keep our fingers crossed and our TV’s tuned in to “Grownish” on Wednesday nights on Freeform ABC. Yara is an amazing young woman and I love that she has a slot, during prime time, to influence our girls and show them that their magic is first cultivated in their minds and not in their bodies.